RD 4: High Stakes – Las Vegas Tickets on Sale Now! 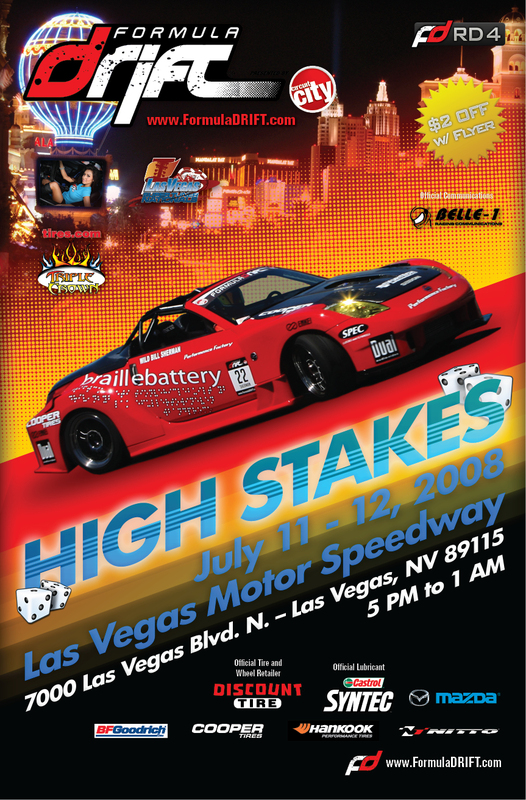 Tickets have gone on sale for Round 4: High Stakes of the Formula DRIFT Championship at the Las Vegas Motor Speedway for July 12. 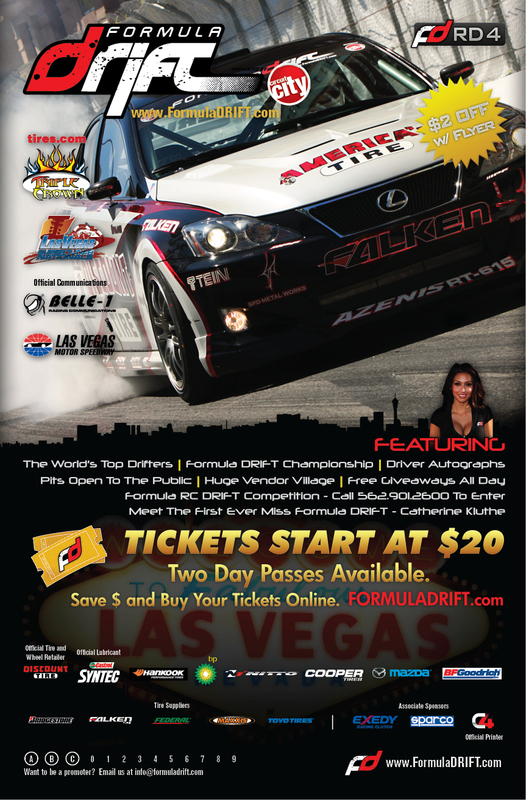 This marks the first time that Formula DRIFT has held an event in Las Vegas and this one will not fail to disappoint. Tickets start at $20 and 2-day passes are also available. Save money and purchase your ticket online. Get your tickets while they last! This was another action packed exciting event. The Top 16 competition was amazing! Many hard fought battles and Rhys Millen overcame mechanical issues and having to qualify being non-seeded to gain the top spot on the podium. 2. 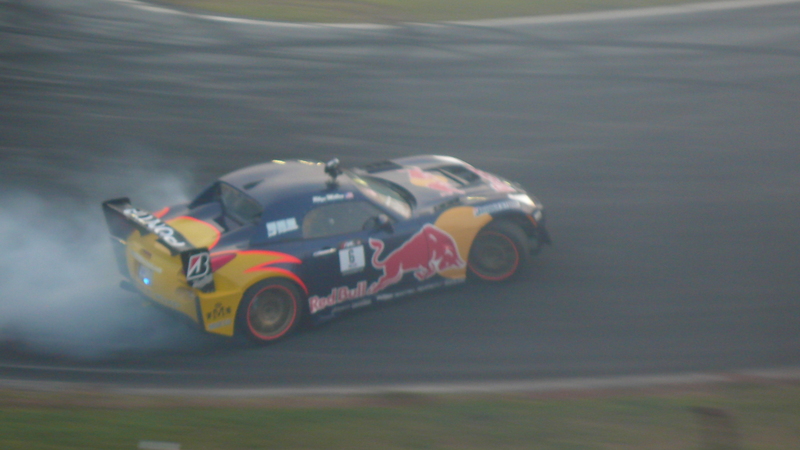 Gittin, Jr. vs. 15. 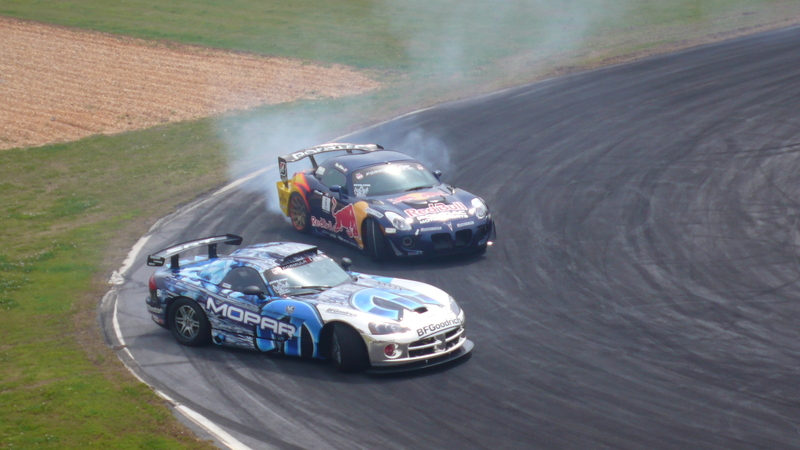 Mordaunt – Winner: Gittin, Jr. 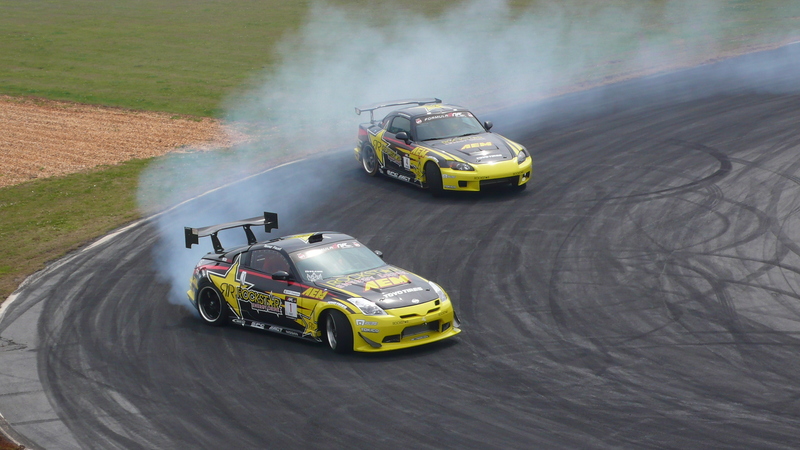 This was also the first Tires.com Triple Crown Event and Rhys Millen is now leading the Tires.com Triple Crown Bonus. Stay tuned to the blog for the Final Results from Road Atlanta! Top 32 Qualifying is currently going on. A couple highlights include: defending Champion Tanner Foust with the fastest entry speed and high score, Ken Gushi and his RS*R Scion tC are out of competition due to mechanical issues, and Rhys Millen is putting out a strong showing being non-seeded for his first time. We are here live at Road Atlanta. Today we will be blogging live throughout the day. Check back for updates, pictures, and more! And of course Miss Formula DRIFT, Catherine Kluthe will be with us all day! Check back throughout the day for more!